Are you looking for a research grant opportunities in Poland? 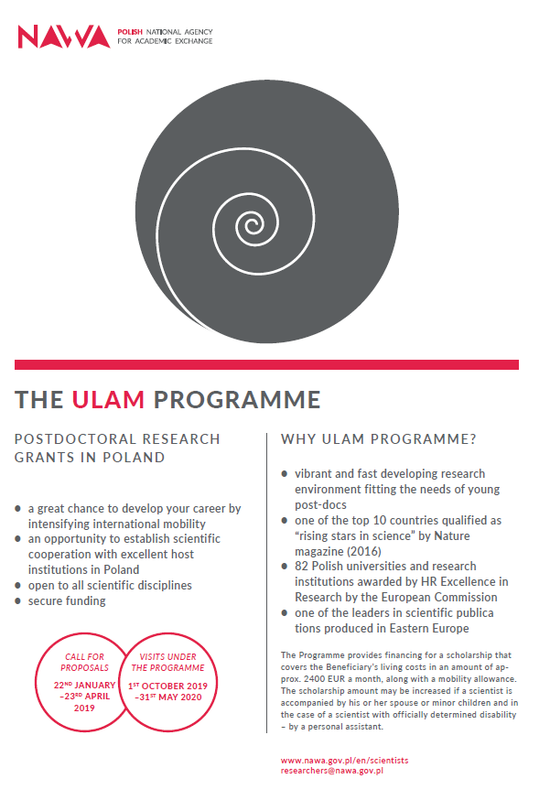 Polish National Agency for Academic Exchange (NAWA) is pleased to announce new programme for incoming researchers: The Ulam Programme (https://www.nawa.gov.pl/en/scientists/the-ulam-programme). Visits within the Programme can last from 6 to 24 months. The Programme provides financing for a scholarship covering both the Beneficiary’s allowance costs in relation to their stay at a host institution, in an amount of approx. 2400 EUR a month and a mobility allowance.